Yves Zenou is a Professor of Economics at Stockholm University and a Senior Research Fellow at the Research Institute of Industrial Economics (IFN). Yves Zenou is also affiliated to the Groupe d’Analyse des Itinéraires et Niveaux Salariaux (GAINS, Le Mans, France), the Center for Economic Policy Research (CEPR, London) and the Institute for the Study of Labor (IZA, Bonn). He has been a Professor of Economics at the University of Southampton, UK, and a Research Fellow at the Center for Operations Research and Econometrics (CORE, Belgium). Yves Zenou has also been a visiting professor at the European University Institute in Florence and Tel Aviv University. 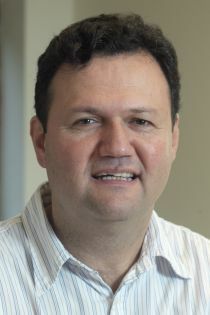 He is Editor of Regional Science and Urban Economics and Associate editor of the Journal of Urban Economics. Yves Zenou joined CReAM as an external fellow in October 2008.